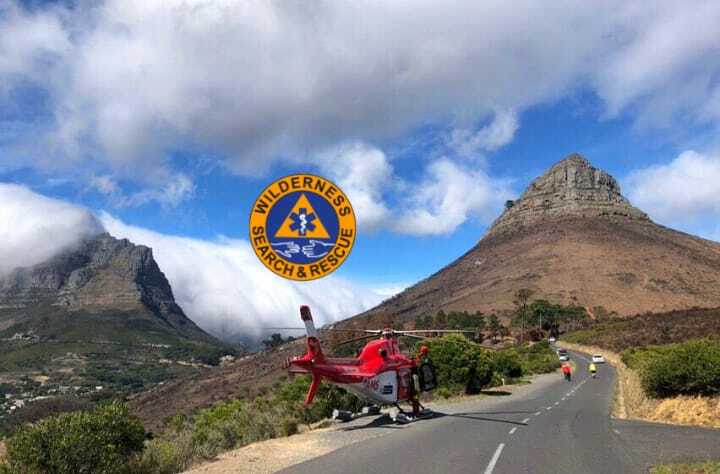 On Tuesday the 26th of March 2019 at 15h06 the Peninsula Wilderness Search And Rescue (WSAR) was activated after a caller reported that a 27 year old Belgian female hiker had injured her ankle near the summit of Lion’s Head. The Metro Rescue Mobile Incident Command vehicle and crew was tasked to respond to the start of the Lion’s Head trail. The Air Mercy Service (AMS) which is contracted to the Western Cape Department of Health, was also asked to dispatch their Helicopter Emergency Medical Service (HEMS) to attend to this incident, as a lengthy stretcher carry out was deemed not to be in the best interest of the patient. Meanwhile, our ground teams consisting of Rescue Mountaineers and Logistical support members were placed on a precautionary stand by to service this call should the wind conditions prove too risky for the safe operation of the helicopter. On arrival, a Metro Medical Rescue Technician and a Rescue Climber were lowered from the helicopter to provide the necessary treatment. Once the hiker was stabilised, she was hoisted into the helicopter and flown to a temporary Landing Zone (LZ) on the Signal Hill. We wish the lady a speedy recovery. Call 021 937 0300 or 112 for any wilderness or mountain rescue response. In association with the Western Cape Emergency Medical Services. 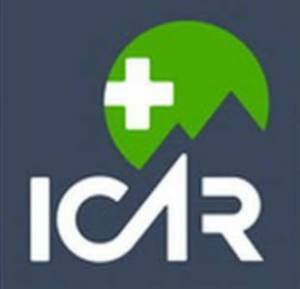 WSAR is a member of the International Commission of Alpine Rescue. Please click here if you would like to support the WSAR Trust, thank you. Another K9 rescued and overdue hikers located. All night rescue of a critically injured hiker, and a K9 is saved. what happened to the rescued dog?